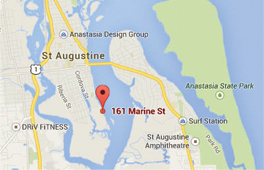 A 120 bed rehabilitation center serenely situated on the picturesque shores of St. Augustine’s Intracoastal Waterway. It has been carefully designed as a truly gracious campus capable of providing a unique, unified continuum of care. 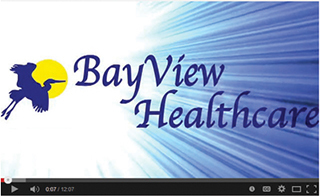 At BayView, we utilize a multidisciplinary team approach comprised of physicians, nurses, nursing assistants/techs, a social workers, patient relations, a registered dietician, therapists (occupations, speech, physical) and clerical staff. This distinctive care encourages residents to thrive and provides families with security and peace of mind. We encourage you and your family to visit, tour our beautiful campus and meet our exceptional staff. Our team of experts will hasten your recovery, focus on regaining lost skills and will work towards restoring your strength and mobility through our comprehensive nursing services, personalized rehab and proactive continuum of care planning. Comprehensive Nursing Services are often necessary when recovering from acute injuries or complex medical conditions. IV therapy, wound care, pain management and edema management are examples of the skilled services provided by our qualified nurses. Our team of skilled nurses provide compassionate and personal around the clock medical supervision and nursing interventions. Personalized Rehabilitation offers both out-patient and in-patient services individually tailored for your rehabilitation needs. We at BayView Healthcare understand how stressful and challenging a sudden illness or life changing medical event can be for both you and your family. A serious medical condition or trauma can leave you having to relearn your basic skills of daily living. The rehabilitation staff at the Samantha R. Wilson Care Center, consist of physical therapists (PT), physical therapist assistants (PTA), occupational therapists (OT), occupational therapist assistants (COTA), speech-language pathologists (SPL) and restorative aides (RCNA). Proactive Continuum of Care Planning can be the key to bridging newly acquired skills and abilities to the home environment. Your team of professionals guiding your successful transition to home include: your therapists, nurses, dietician and social worker. Together with you and your family, we identify and coordinate the necessary healthcare and community services specific to your individual needs.